A bit of context for any non-journalism students out there: the School of Journalism’s equipment room in Melville Library is set to be turned into a faculty development center at the start of next semester. The equipment room houses — you guessed it — journalism equipment: the cameras, microphones and lighting fixtures that make good broadcast journalism possible. Getting rid of the equipment room is a bad move from multiple angles. Forget about the equipment room’s importance as a meeting place and working space for the J-School’s students. This decision is mathematically stupid. 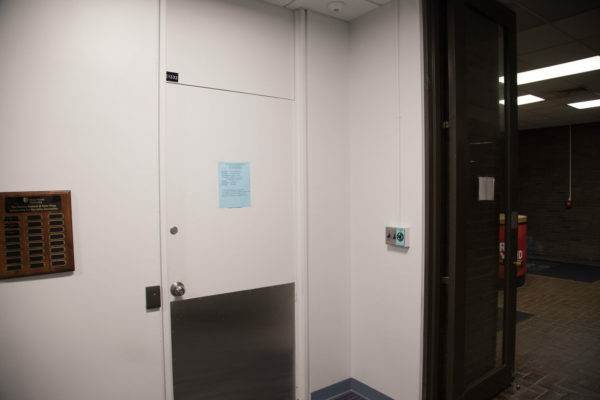 Suppose the replacement for the equipment room is in the Educational Communications Center next to the Javits Lecture Center, approximately a five-minute walk from the J-School Newsroom. In a class like JRN 215: Introduction to Multimedia Skills Lab, which meets for two hours and 50 minutes, 15 times a semester, that walk can have a huge impact. Ten minutes out of a 170-minute class works out to 5.88 percent of the class, and this assumes students will not forget a tripod, which they will, or accidentally take out broken equipment, which they will. Throughout the semester, journalism students could lose 150 minutes of would-be learning time, nearly an entire class spent shuffling across campus for equipment. It is not just a matter of convenience having the equipment room next to classroom space — the time an equipment room relocation would take out of class has a measurable impact on the quality of education for journalism students. There is a financial impact to be considered here as well. At $278 a credit, that 10-minute walk costs a little over one dollar a class. That adds up. This sort of blatant disregard for the time and money of journalism students, essentially telling us our education is less valuable than a glorified faculty lounge, denotes more than the typical Stony Brook STEM bias. The university’s recent financial woes have been well-documented, and so far most of the cuts have come to faculty and programs in humanities or humanities-related fields. Journalism fits into that category in a broad sense, but rather than just losing a professor or two for the good of the program as a whole, we are losing our equipment room for a non-academic reason. Maybe journalism students do not have as much of a right to complain as, for example, theatre arts majors, but nixing the equipment room cannot even be written off as an attempt to save money. Establishing a new equipment room and redoing the current space will cost money the university ostensibly does not have. Try to remember that the Newsroom is laboratory space, and that it houses lab equipment. I know it takes a cognitive leap to equate cameras and tripods with beakers and Bunsen burners, but our equipment is just as crucial to journalism as a microscope is to chemistry. Try to imagine the university putting the microscopes across campus from the Chemistry Building and you might get an idea of just how much they have angered journalism students. So shame on the university for taking our space, shame on the provost for not seeing reason and shame on the School of Journalism for not coming up with the grant money to save the equipment room. They would not do this to the chemistry department.